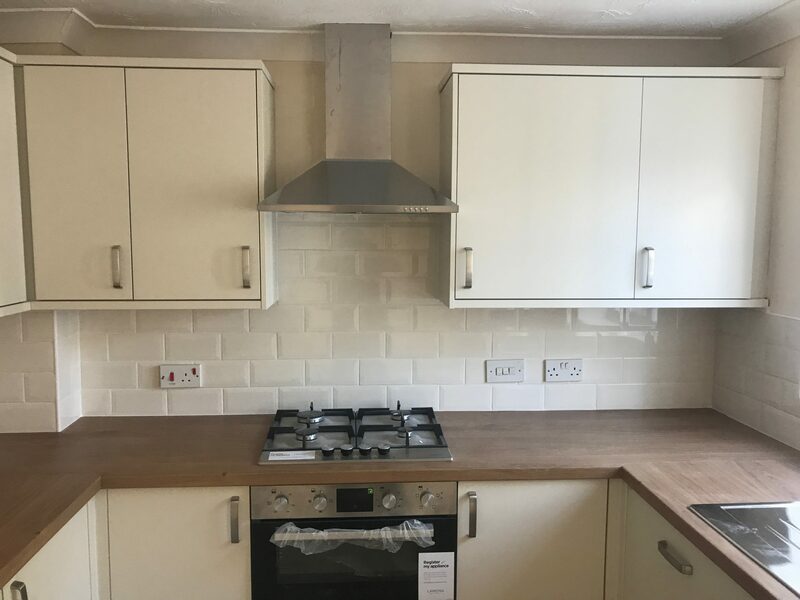 This beautiful Howdens kitchen was a part of a full refurbishment on a property to enable the landlords to rent the property. The entire property was fully decorated to a high specification and the old kitchen with orange floor tiles was removed by us ready for something new and contemporary. 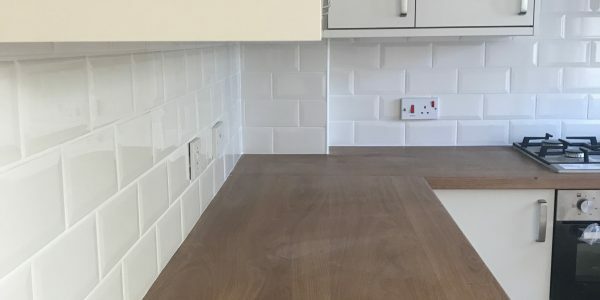 BPS managed the whole process to take the pressure away from the client. 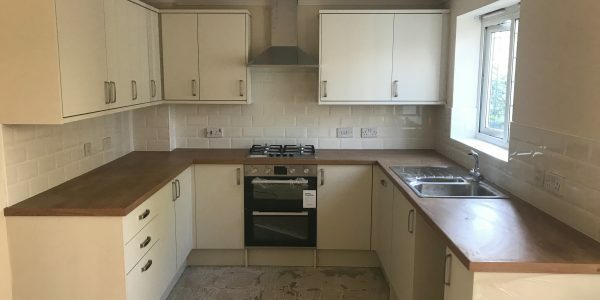 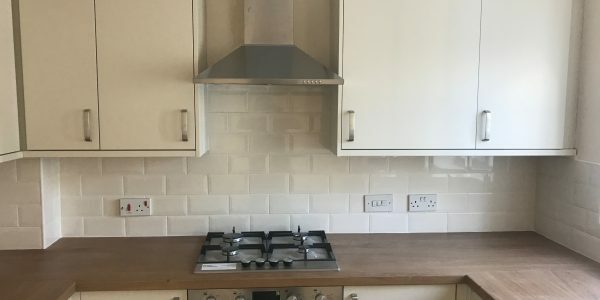 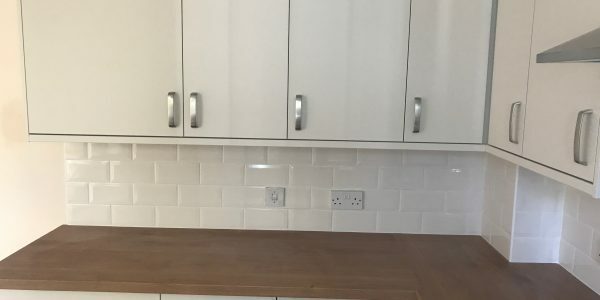 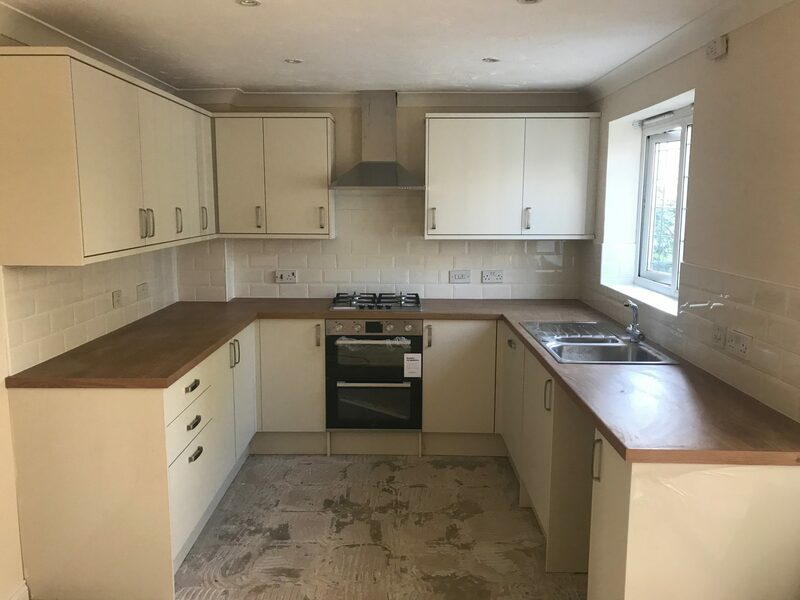 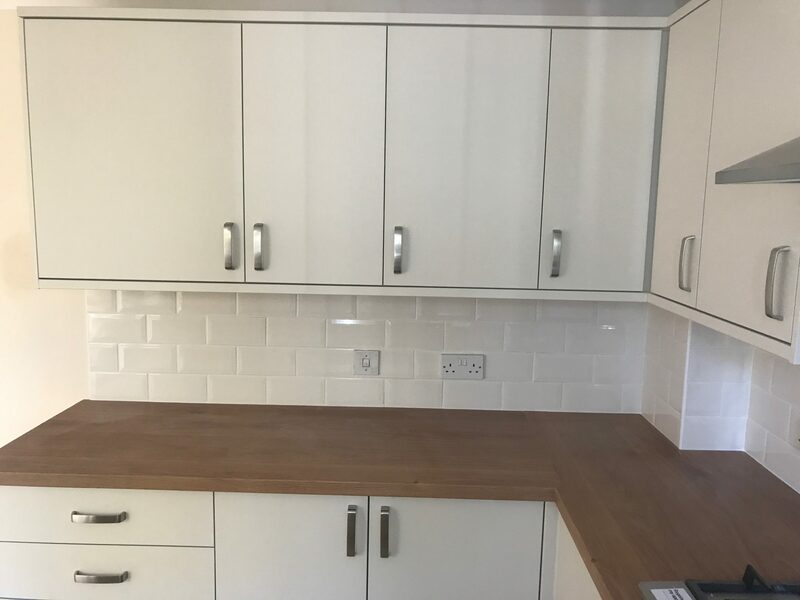 This kitchen install was fully managed by us and we arranged for all electrical & plumbing works to be carried out during our schedule by fully qualified and insured plumbers and electricians. 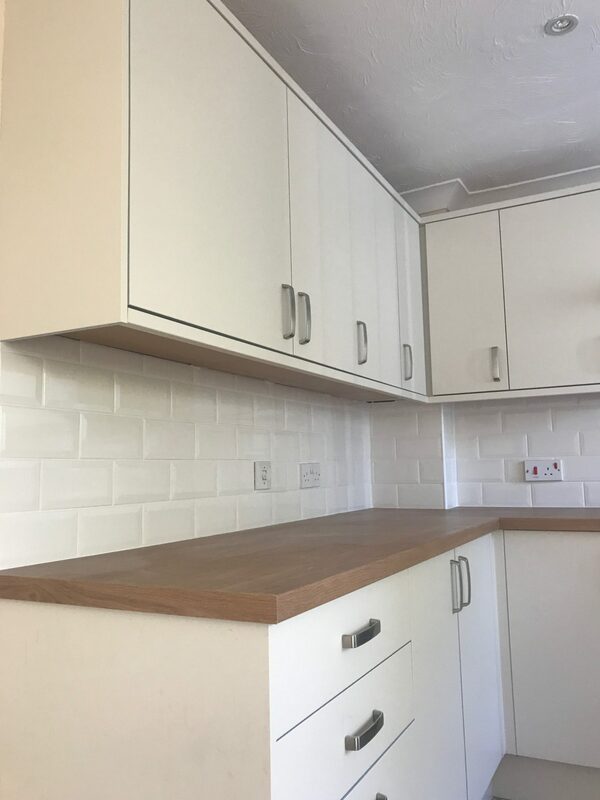 The walls were not in a great condition and most of the walls were made good with new plasterboard. 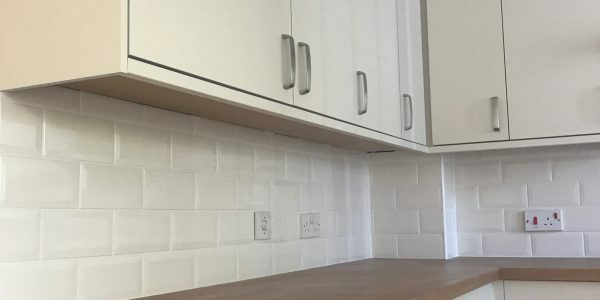 This enabled us to fit a new kitchen on far straighter and tidier walls. 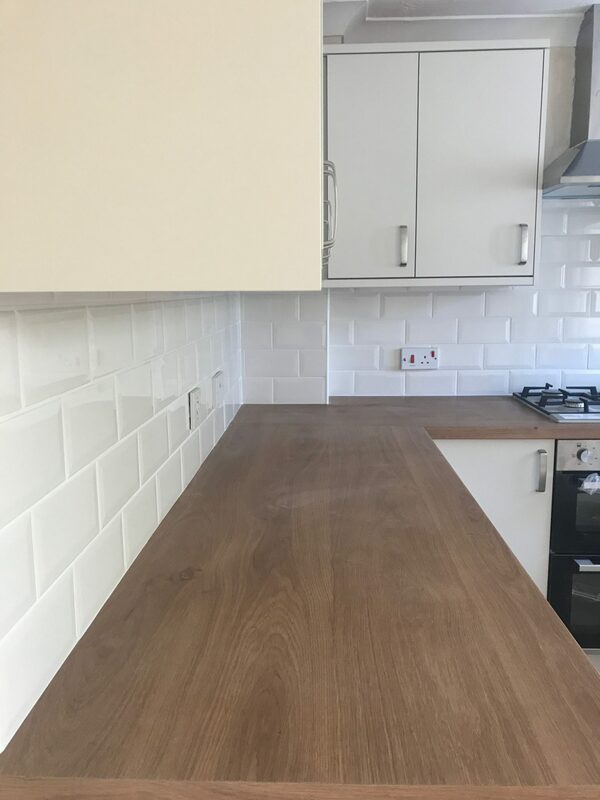 The units are Ivory and the worktops are an oak effect laminate. 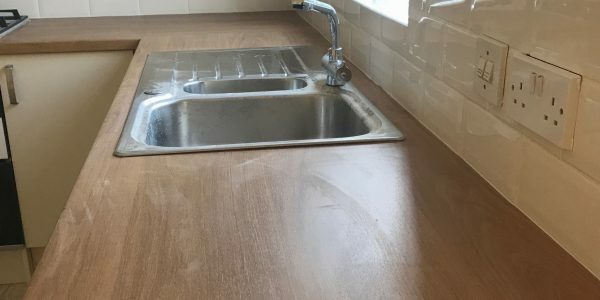 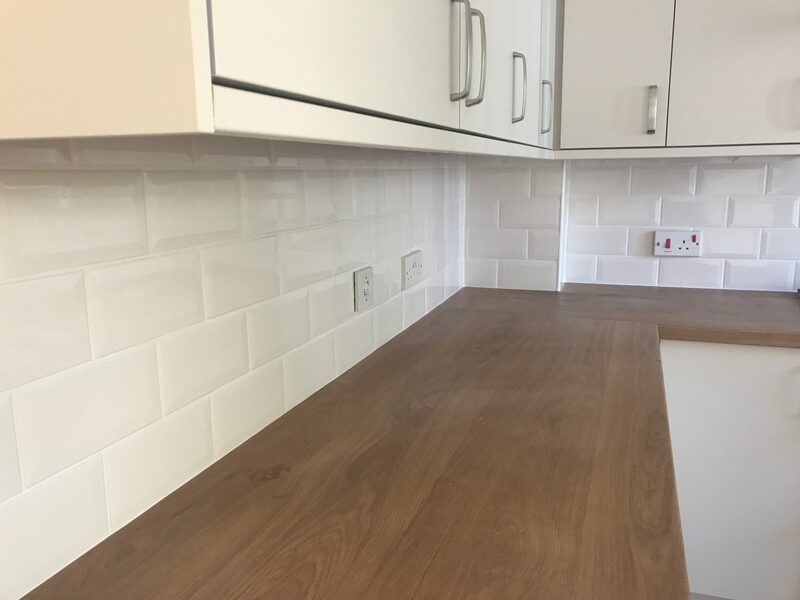 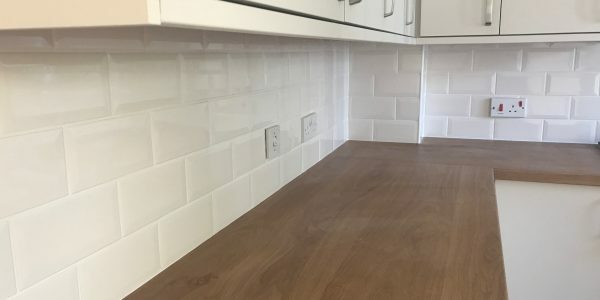 The choice for a metro cream tile compliments the oak worktop and the Ivory units leaving a clean and modern feel to the kitchen. 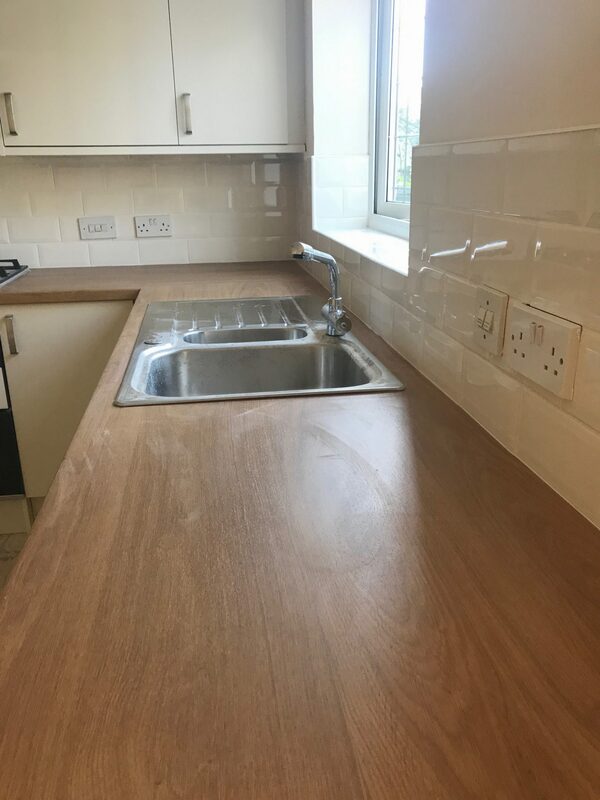 The kitchen was completed by a wood effect vinyl flooring as well as a full redecoration with Magnolia.